Since the beginning of her political career, Senate Majority Leader Kimberly A. Lightford has been a vocal champion for her strongest passions: promoting quality education, advocating for quality healthcare and providing support for working families. Lightford became assistant majority leader in 2009 and enhanced her role as an advocate for education reform. Leader Lightford has served on the Senate Education Committee for 20 years as either a sitting member, Vice Chair or Chairman. Her expertise positioned her as the top negotiator on the legislation developed as a part of President Obama’s Race to the Top program, leading to the establishment of stronger methods of evaluating teachers and tracking student progress. Lightford facilitated laws that put the best teachers in classrooms, provide universal preschool to three- and four-year olds and make sure children start school by the age of six. She also greatly increased the safety of school children by providing specialized bullying prevention curricula and no bullying school zones. Lightford helped to re-enroll high school dropouts by establishing the Illinois Hope and Opportunity Pathways through Education Program. Former U.S. Secretary of Education Arne Duncan hailed the senator’s landmark education reform law as “a national model” which aimed at boosting student performance through accountability for schools, administrators and teachers. She also negotiated SB 7, the most significant education reform in 30 years, with hope to ensure every child in Illinois public schools has a quality teacher. Senator Lightford also sponsored SB 100, which mandates out-of-school suspensions longer than three days, expulsions and disciplinary removals to alternative schools are reserved for situations when a student’s presence is a safety threat or substantial disruption to the learning environment. It took effect in 2016. In 2017, a measure aimed at reducing teen suicide and the stigma of mental health issues was signed into law. Leader Lightford led the effort that requires social and emotional screenings for children as a part of their school entry examinations to promote life-altering early detection. Senator Lightford has also made it a top priority to help working families, especially during tough economic times. She is responsible for the 2003 and 2006 laws that gradually increased the minimum wage from $5.15 to $8.25 per hour. Lightford filed additional legislation in 2014 and 2017 to gradually increase the minimum wage, and in 2017, her measure to increase the minimum wage to $15 per hour was vetoed by Gov. Rauner. In 2019, she raised the minimum wage for a third time when Gov. Pritzker signed a law that gradually increases it to $15 per hour, helping more than 1 million low-income citizens throughout Illinois provide for their families. In 2005 and again in 2010, Leader Lightford passed laws to protect working families from predatory lending practices with sweeping reforms to Illinois’ payday loan industry. She has also sponsored a measure to establish a Council on Responsible Fatherhood and laws allowing for expungement of criminal records, making it easier for men and women who have paid their debts to society to turn their lives around. Lightford has also been a leading voice on women’s issues since her 1998 election made her the youngest African-American woman ever elected to the Illinois. In 2003, she was the lead sponsor of the Equal Pay Act, which bans employers from discriminating between employees on the basis of gender when it comes to salaries. She strengthened the act in 2010 by allowing women who have been discriminated against more time to file an action against an employer. In 2018,Lightford passed the African-American Equal Pay Act to help combat the wage gap for African Americans. She has also sponsored numerous bills focusing on women’s health care. In addition to promoting a progressive legislative agenda, Leader Lightford has single-handedly fought for 15 years to rebuild an inner city not-for-profit hospital in one of the lowest income communities in Chicago. She understands the importance the facility plays in providing quality health care and more than 500 jobs to the residents of Austin. Lightford’s dedication helped bring more than $20 million in grants to the facility to replace outdated boilers, build a state-of-the-art emergency department, add a pharmacy and remodel all bed space. The hospital named their emergency department The Kimberly A. Lightford Emergency Department. Leader Lightford fought for nearly two decades to shepherd funding to a community center operated by the Maywood Park District, understanding the important role recreation centers play for communities. Thanks to her efforts, the center secured nearly $3 million for the project, which was named the Lightford Recreation Center on Dec. 1, 2018 by the Maywood Park District upon its completion. Leader Lightford has been a positive force for change in her district. She initiated the innovative “Uplift Our Future” program, a Saturday University which provides supplemental educational opportunities for middle schoolers, an annual college fair and back to school event, and a mentoring effort for 8th grade students. She also hosts a yearly Grandparents Raising Grandchildren Rainbow Tea and organizes annual awareness events for breast cancer and prostate cancer. She serves on the Board of Directors for the Proviso-Leyden Council for Community Action, Inc., Loretto Hospital, and the Boys and Girls Club of West Cook County. 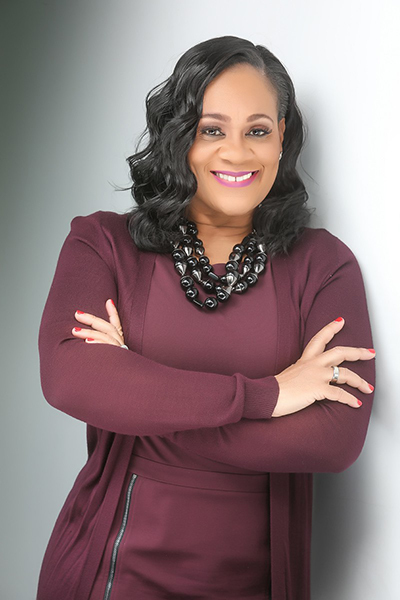 She is a member of Delta Sigma Theta Sorority, Inc.
Leader Lightford holds a bachelor’s degree in public communications from Western Illinois University and a Master of Public Administration from the University of Illinois at Springfield. She gained extensive management experience working at the Illinois Department of Central Management Services, the Illinois Department of Corrections and the Illinois Secretary of State’s office. Since 1998, she has represented the 4th Senate District which includes more than a dozen suburban communities in western Cook County and the Austin community area on Chicago’s West Side. In addition to serving as the Chair of the Assignments Committee during the 101st General Assembly, Lightford serves on the following committees: Education; Energy and Public Utilities; Executive Appointments; Executive; Higher Education; Labor; Oversight Medicaid Mang. Care, Spec; Supplier Diversity, Special Com. On; Subcommittee on Gov. Operations (Sub-Chairperson). Senator Lightford also serves as the Chairman of the Illinois Legislative Black Caucus. She resides with her family in Maywood. • National Pan-Hellenic Council of Chicago 2015 Soror of the Year, Delta Sigma Theta Sorority, Inc.